THA Duchess has been one of our solid foundation females for the past 5 years. 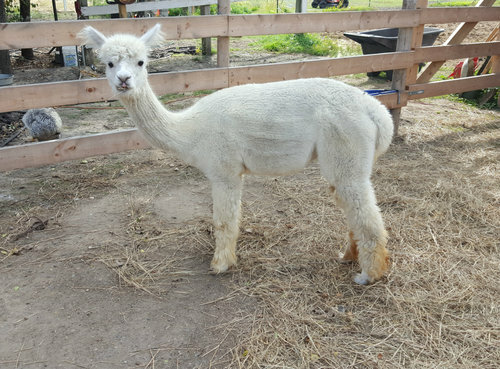 She has given us 5 amazing crias including one male that went on to become a ribbon winner and a breeding male for another farm. 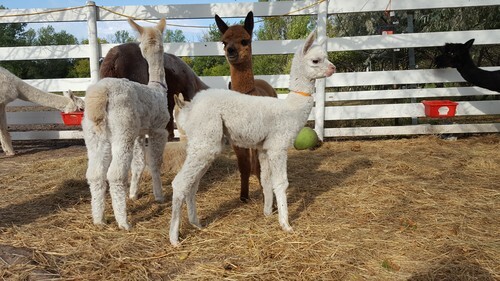 The last cria was a male out of A.L. 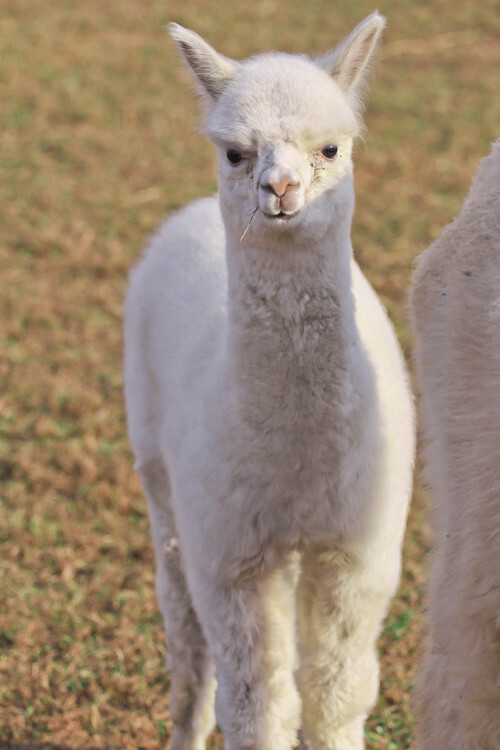 Paca's Kingscliff, who we sold at only 3 days old! Canadar's Royal Highness is the daugher of Peruvian Canadar, the proven son of the world famous Hemingway who imprinted his trademark for fineness on his prodigal son. Canadar’s fleece measured 17.6 microns in 1997 and at eight years of age remained under 21 microns at 20.18 in 2009! But Canadar’s claim to fame will be his progeny who are fine, bright examples of huacaya excellence with their high style, crimpy fleece. 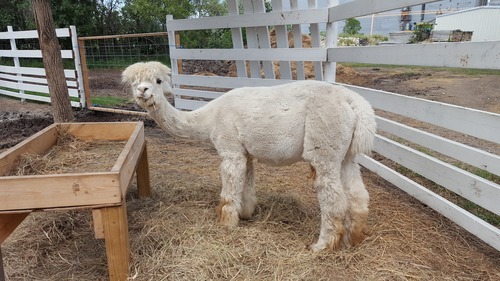 His combination of great phenotype, superior genetics, and shocking fleece statistics will undoubtedly carry on his sire’s legacy. Highness is quiet and gentle. She is not a pushy girl. Once she is caught she is very sweet. 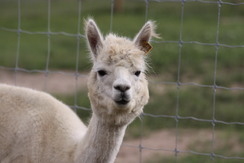 We think she would make a great addition to someone's starter herd learning their way with alpacas. 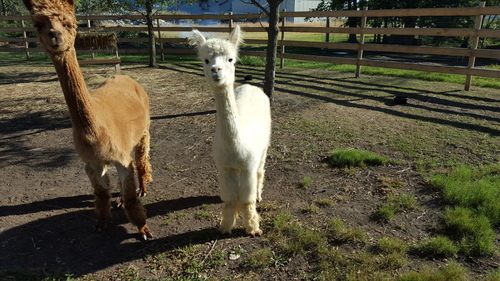 Highness had one cria for us, Ten Seven Acres' Peruvian Alma. We have decided to focus more on breeding for color and we would like to find find her a new home. 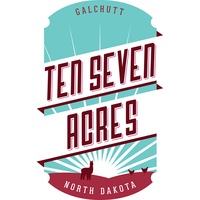 Highness can be bred before leaving our farm for an additional fee if desired to any non-restricted herdsires standing at Ten Seven Acres.